We literally just posted seven new theatrical posters for the next installment of Peter Jackson’s THE HOBBIT trilogy, which hits this December, and now we’ve got a brand new trailer and yet another poster – we imagine these to be the final trailer and final poster for the film. The next film once again features Martin Freeman as Bilbo Baggins and Ian McKellan as Gandalf, but also adds Evangeline Lilly, Richard Evans, and Lee Pace, along with THE LORD OF THE RINGS returning character of Legolas played by Orlando Bloom. Oh, and of course there’s Benedict Cumberbatch as the voice of Smaug the dragon. 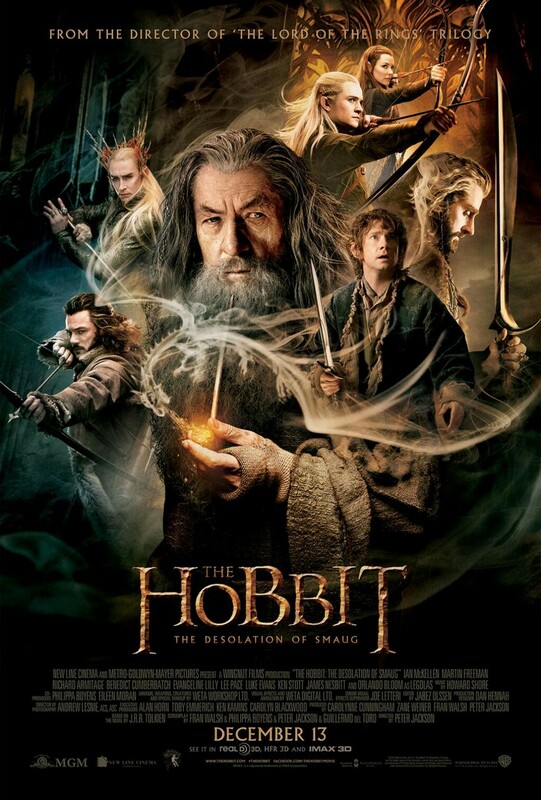 While I admittedly wasn’t the biggest fan of THE HOBBIT movie, the trailer for this one looks decidedly more entertaining and dark. We’ll see if they can pick up the pace (no pun intended, Lee) a bit in the next outing. Tell us your thoughts in the comments.